Applebee's Grill & Bar brings together a lively bar & grill experience offering hand-crafted drinks and craveable, simple, American food with flare featuring vibrant flavors and real, fresh ingredients. 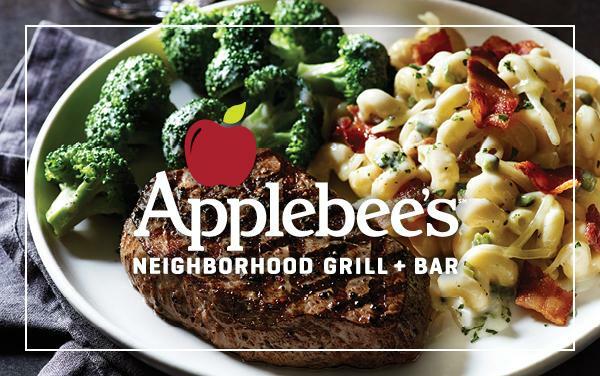 All Applebee's restaurants are owned and operated by entrepreneurs dedicated to serving their communities and offering the best in food and drinks with neighborly, genuine service. With more than 2,000 locations in 49 states, Guam, Puerto Rico and 15 countries, Applebee's is one of the world's largest casual dining brands. We own and operate in New Jersey, Long Island, Florida and Georgia. To see more of our menu offerings, click here! Resembling a Mexican border town café or cantina with newly renovated décor, the Chevys Fresh Mex offers a variety of Mexican dishes, including traditional enchiladas, burritos and tacos. More than just made from scratch Mexican dishes, Chevys Fresh Mex favorites include mesquite grilled steak, seafood entrees and a variety of salads and desserts. 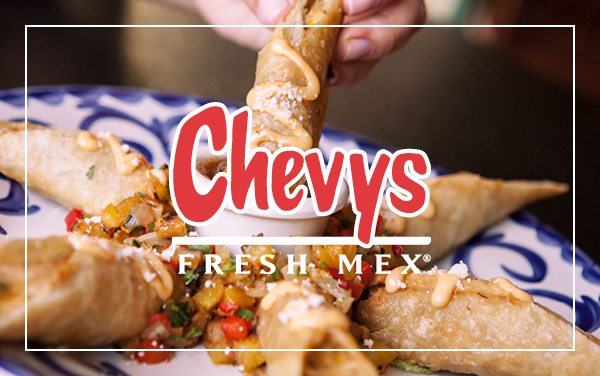 The theme of every Chevys dish is freshness, a characteristic underscored by the concept's fresh made tortillas – creating a fun atmosphere for everyone, including families with children. There are currently two New Jersey locations: Route 1&9 in Linden and on Route 3 inside the Clifton Commons in Clifton. Join us Tuesdays for $2 tacos or Wednesdays for $2 house margaritas! Even more tasty food on our full menu, click here! 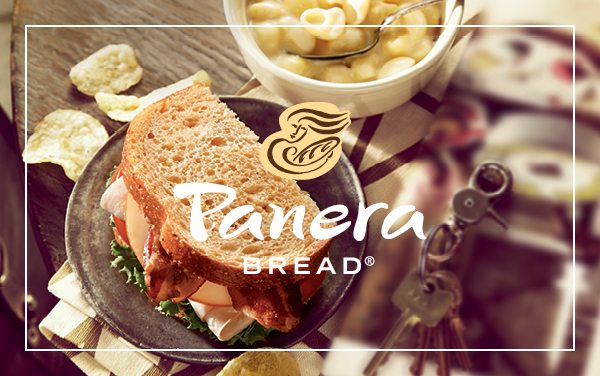 Panera Bread Company owns and franchises 1,673 bakery-cafes as of March 26, 2013 under the Panera Bread®, Saint Louis Bread Co.®,and Paradise Bakery & Café® names. We feature high quality, reasonably priced food in a warm, inviting, and comfortable environment. With our identity rooted in handcrafted, fresh-baked, artisan bread, we are committed to providing great tasting, quality food that people can trust. Nearly all of our bakery-cafes have a menu highlighted by antibiotic free chicken, whole grain bread, and select organic and all-natural ingredients, with zero grams of artificial trans fat per serving, which provide flavorful, wholesome offerings. Our menu includes a wide variety of year-round favorites complemented by new items introduced seasonally with the goal of creating new standards in everyday food choices. In neighborhoods across the United States and in Ontario, Canada, our customers enjoy our warm and welcoming environment featuring comfortable gathering areas, relaxing decor, and free internet access. Our bakery-cafes routinely donate bread and baked goods to community organizations in need. An essential sponsor, Panera Bread’s Long Island, Brooklyn and Queens locations provide over 2200 pounds of bread each week from its area bakery-cafes to Island Harvest and City Harvest its Operation Dough-nation® partners. Panera Bread was voted #1 among national chains in the Bethpage FCU 2016 Best of LI for: Best Healthy Eatery, Best Lunch Deal and and Best Soup. In the 2012 Zagat Fast Food Survey, Panera Bread was voted #1 in the Best Healthy Options category. While in October 2012, Nation’s Restaurant News reported a consumer survey ranking Panera Bread America’s #1 favorite sandwich chain. Additional information about Panera Bread’s menu click here. We currently own and operate in Nassau, Suffolk, Richmond, Queens, and Kings County New York. 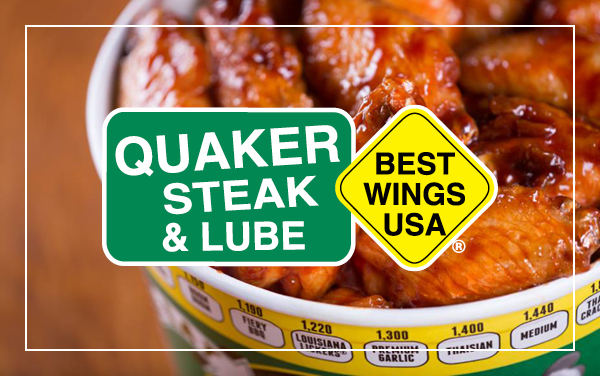 Founded in 1974 and built in an abandoned gas station in Sharon, Pa., Quaker Steak & Lube® has expanded across the United States. The unique décor, including gas station memorabilia, classic cars, motorcycles, race cars and corvettes suspended from the ceilings combined with the crave-able food and high-octane events has afforded The Lube® a cult-like fan following. Today, Quaker Steak & Lube® has become one of the fastest-growing restaurant chains in the country, and has won hundreds of national and international awards for its wings and more than 25 different wing sauces. There are currently three New Jersey locations: Cedarbridge Ave in Brick, Route 1 south in Edison, and Route 22 in Pohatcong (Phillipsburg). Click here to see our menu! SPUNTINO (spoon’tîno), noun: A snack or an informal meal Spuntino Wine Bar & Italian Tapas is a Doherty Enterprises original and unique specialty restaurant. 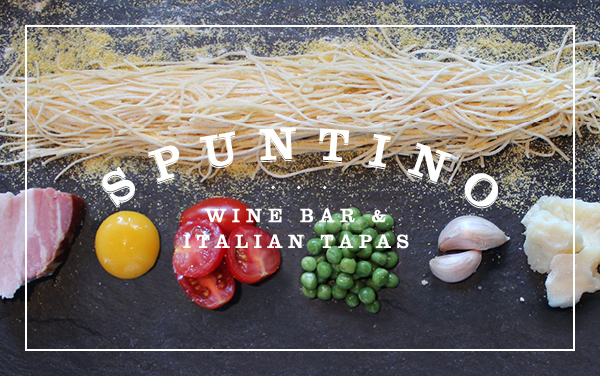 Spuntino currently has 2 locations: Clifton Commons in Clifton, NJ and The Gallery at Westbury in Garden City, NY. Spuntino set out with the goal of introducing a wonderful breadth of world-class international wine that is paired with an expansive Italian, small plate menu. The wine list and food menu are thoughtfully prepared and selected by a team that strives to introduce guests to new, fresh Italian flavors. Spuntino focuses on fresh, local and seasonal ingredients with a menu that changes four times a year. To make sure that we are using the best ingredients available we work closely with a number of farms in the area including Goffle Farm Poultry (Wyckoff, NJ), Blooming Hill Farms (Monroe, NY), and Alps Provisions (Long Island City, NY). Wine is Spuntino’s second name! With over 50 wines by the glass, over 150 by the bottle, four wines on tap, and three wine flights offered daily, Spuntino really does have something for everyone. •	Check out the Spuntino website for the latest events, such as our wine dinners, tasting menus that represent a specific region of Italy, or seasonal menus! Be the first to hear about upcoming events and receive exclusive offers by joining the Grapevine! To view our Menu, Click here! LOCAL PUB. IRISH SOUL. The Shannon Rose Irish Pub is a specialty restaurant and unique concept of Doherty Enterprises that combines Irish roots with a commitment to the community. There are currently two Shannon Rose locations: Clifton Commons in Clifton, NJ and on Route 17 in Ramsey, NJ.The interior of the pub is entirely composed of furniture and decorations shipped directly from Ireland, but the chef-driven, scratch-made menu incorporates seasonal & local ingredients from resident community partners. With a menu that changes seasonally and ingredients harvested as local as possible, the menu offers a blend of Irish pub classics and new tavern favorites. The old Irish proverb says, "What whiskey will not cure, there is no cure for." Not willing to take any chances, the full bar offers a selection of 40+ different Whiskey, Bourbon & Scotch selections. While Guinness is the house favorite when it comes to beer, the bar boasts over 30 beers on tap, including domestics, imports and 20+ seasonal & limited craft beer releases. From beer dinners to whiskey tastings to weekly Saturday Shenanigans, the fun never stops! To receive news about upcoming events and exclusive offers, join the Pub Club! 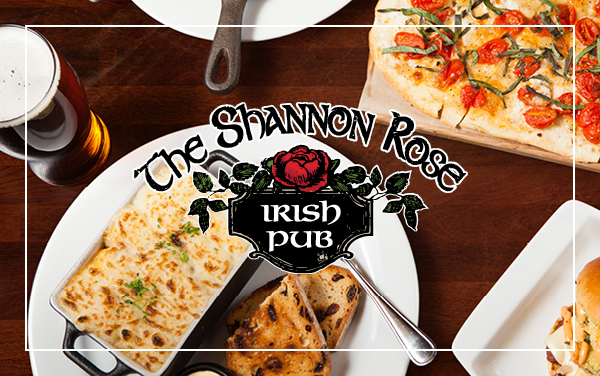 The Shannon Rose is dedicated to providing Irish hospitality, and is always eager to provide guests with a warm meal and a perfectly poured pint. To view our warm meals, click here. Slàinte!